Tonight, Friday January 15, 2016, I am participating in an exciting event. Chefs, bloggers and authors from around the globe will be sharing meals, books and culture, all revolving around Greek heritage and tradition. 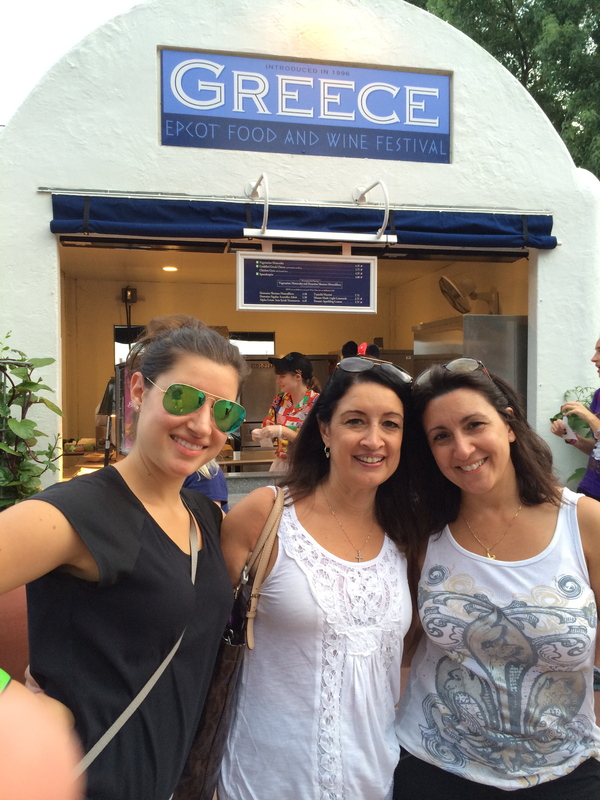 The event is called Greek Dinners Around The World and the host for this event it Keri Douglas who runs the website 9 Muses News. This is Keri’s third year running this event and my first year joining in. I will spend the day cooking and baking, and later, I will be hosting family and friends to join me in a Greek feast. Like the rest of the participants around the world, I will be posting pictures on all my social media sites and following up with a blog post on this site. For more information on the event and the others participating, go to http://9musesnews.com/ or use the #GreekDinner on Twitter, Facebook or Instagram. 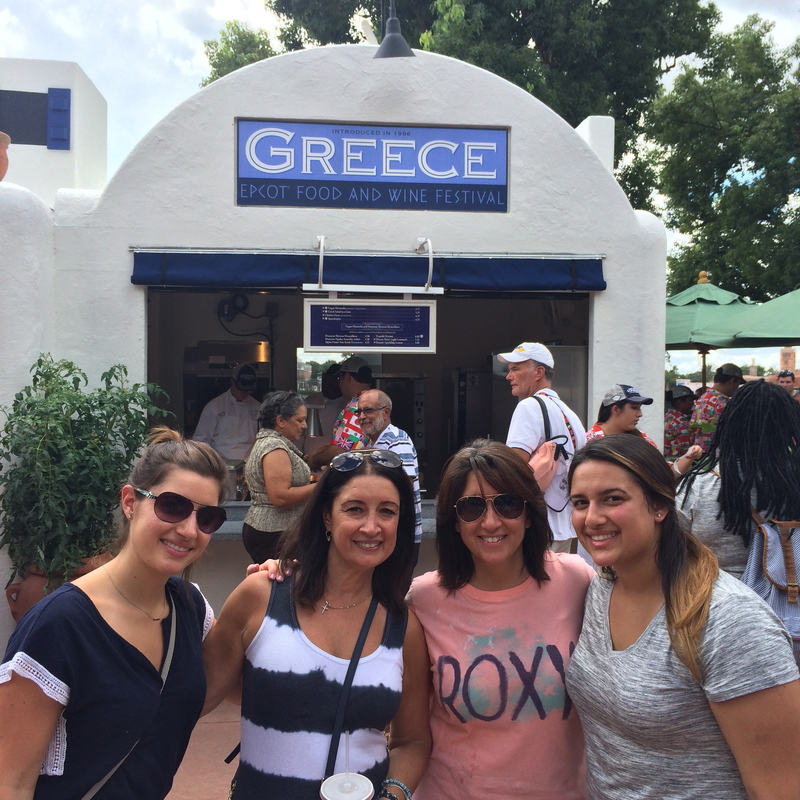 Since you all can’t be with me, it might be a good time to try one of my recipes, crack open a bottle of Greek wine and we can virtually toast one another! Or you can simply crack open the bottle of wine, download my book, Evanthia’s Gift and pretend you are part of that big Greek family! Either way, enjoy your weekend. Well, my food loving friends, I just came back from the EPCOT Food and Wine Festival, and I must say that Disneyworld really went all out for the 20th anniversary of this event. For those of you who have never attended this celebration for the foods of all nations, let me give you an idea of how it works. 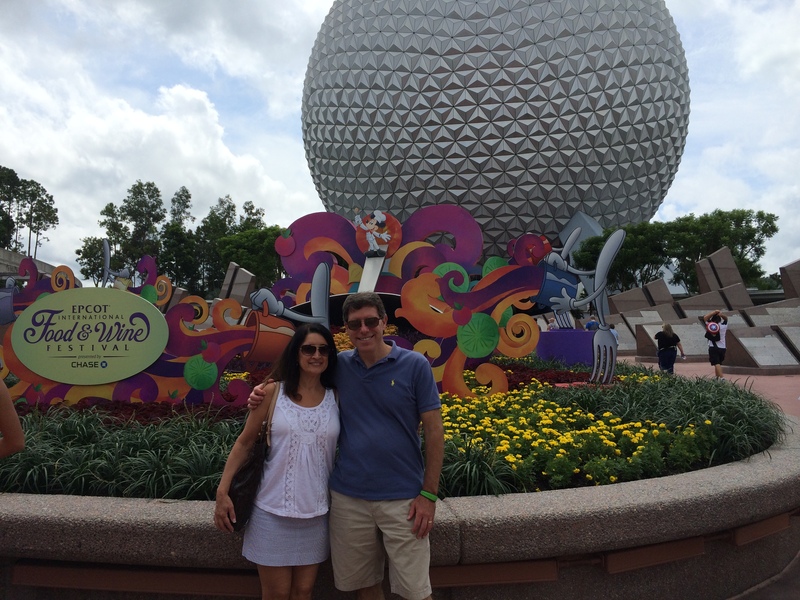 EPCOT has two sides, or two parks in one – a future side and a world side. The world side is spread out around a body of water, where you can walk a full circle around the lake visiting country after country. Each pavilion is authentic in its architecture, as the people from that particular country had supervised the construction. And the employees, from the wait staff to the salespeople in the gift shops, are all young students from the country they represent. 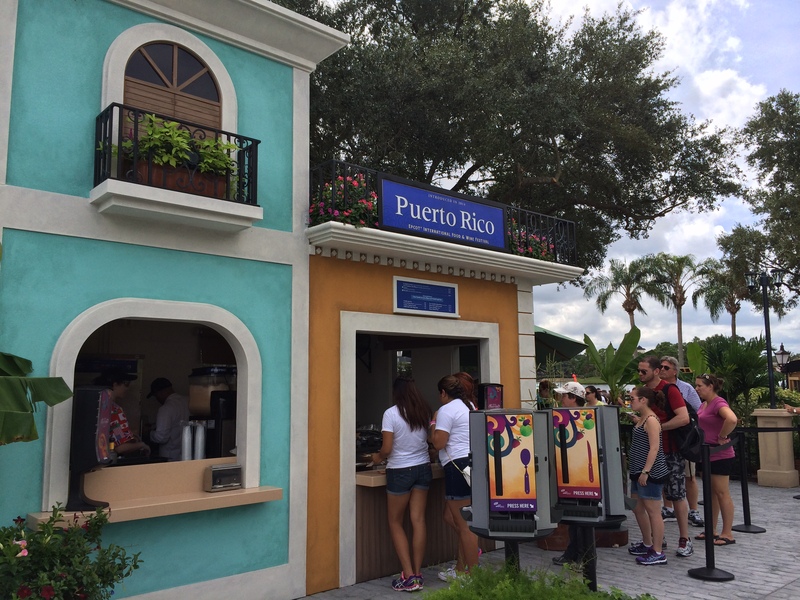 During the Food and Wine Festival, EPCOT adds approximately thirty extra food kiosks around World Showcase representing countries from every corner of the world. The logistics of how they pull this off is mind-boggling. The food is delicious and fresh. They are actually cooking in those kiosks. Each country has its own supervising chef and a large enough staff to serve the thousands of people that come through each day. When you arrive, the first thing you want to do is get a “passport.” It lists each stand/kiosk, what country it represents, and the menu. For fun, you can check off each food sampling you try and get a stamp from that country. My favorites this year were the lamb chops from Australia, the grilled beef skewer with chimichurri sauce from Patagonia, the beef short ribs from South Korea, and the pão de queijo – a Brazilian cheese bread. This year, Epcot extended the festival beyond World Showcase and into future land. 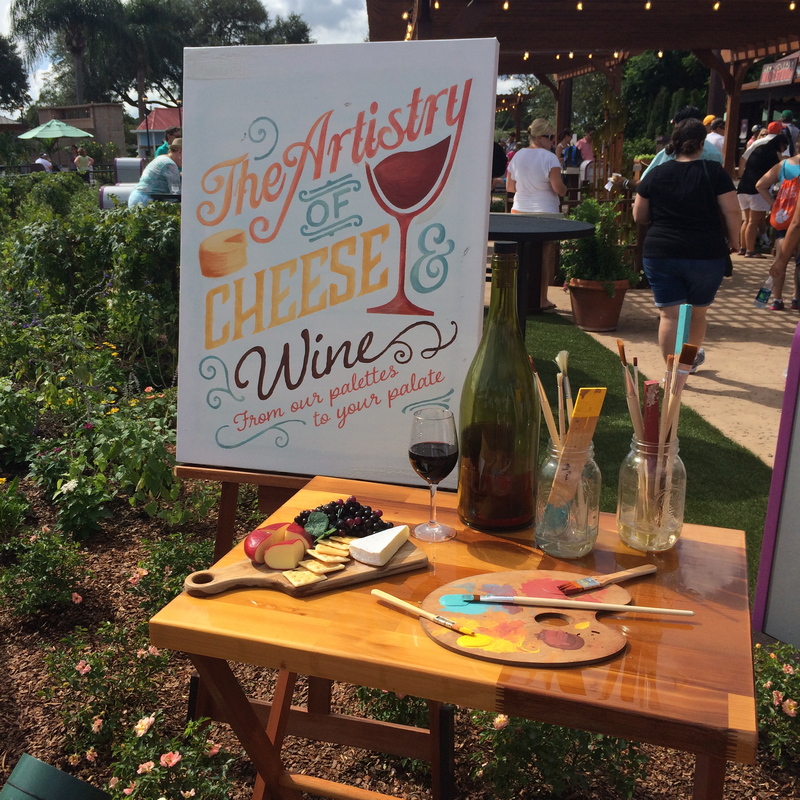 They added a Wine Bar and a Cheese Studio, beautifully decorated, and with delicious offerings. Say cheese and I’m there! But the best new addition was the two kiosks hosted by the ABC cooking show, THE CHEW. 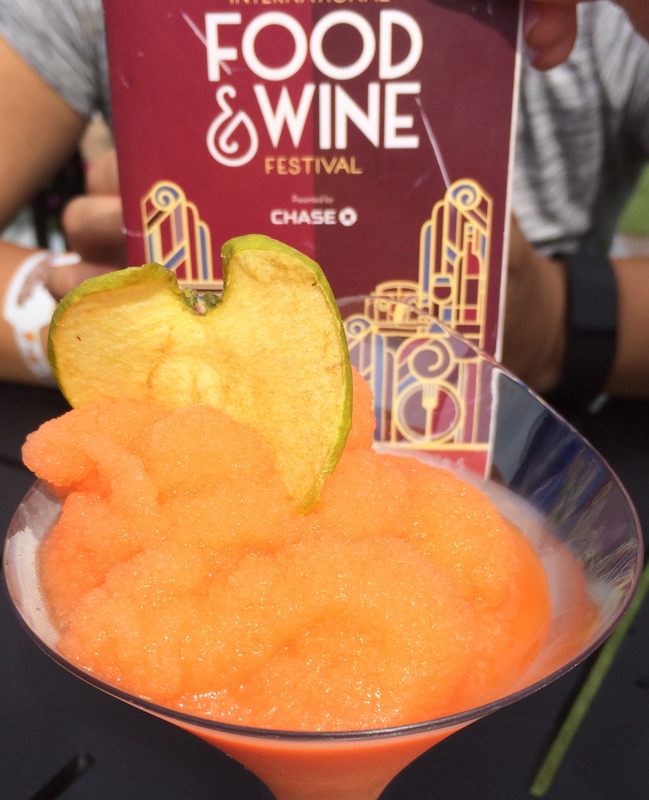 At the Sustainable Chew, I tried a pork sparerib with red wine and cheesy mascarpone grits, and a frozen Chewtini cocktail. 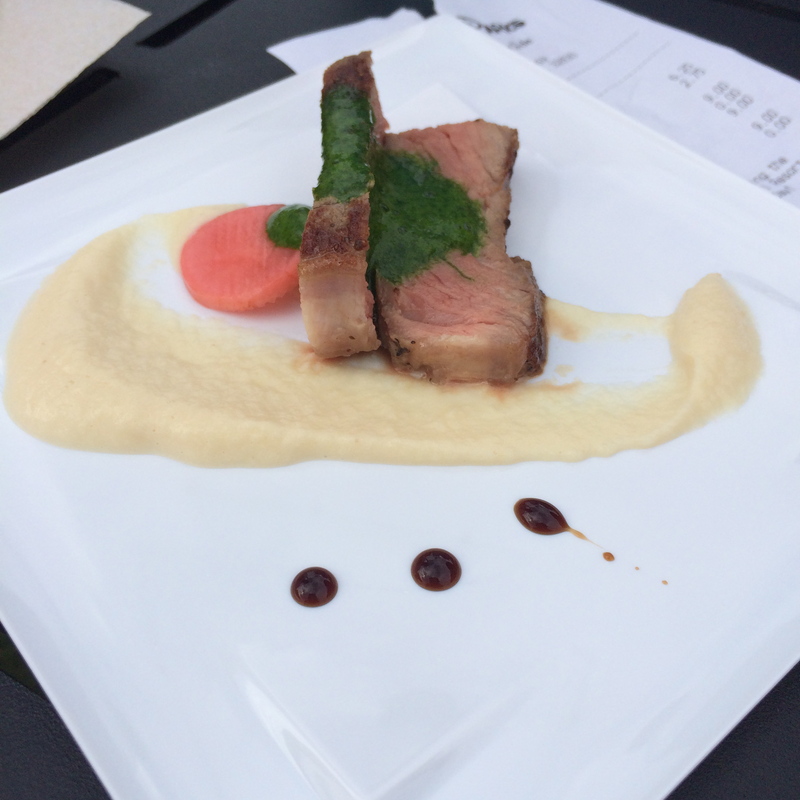 At the Chew Lab I ate a melt-in-your-mouth New York Strip Steak with parsnip puree and arugula foam. The presentation was most impressive at these two stations. In the Festival Center Pavilion, you can sign up for wine tastings, cooking demonstrations and mixology classes. I do recommend making reservations in advance, as these fill up quickly. There are also events in the evening. Grand tastings and special celebrity chef dinners. Don’t ignore the resorts. 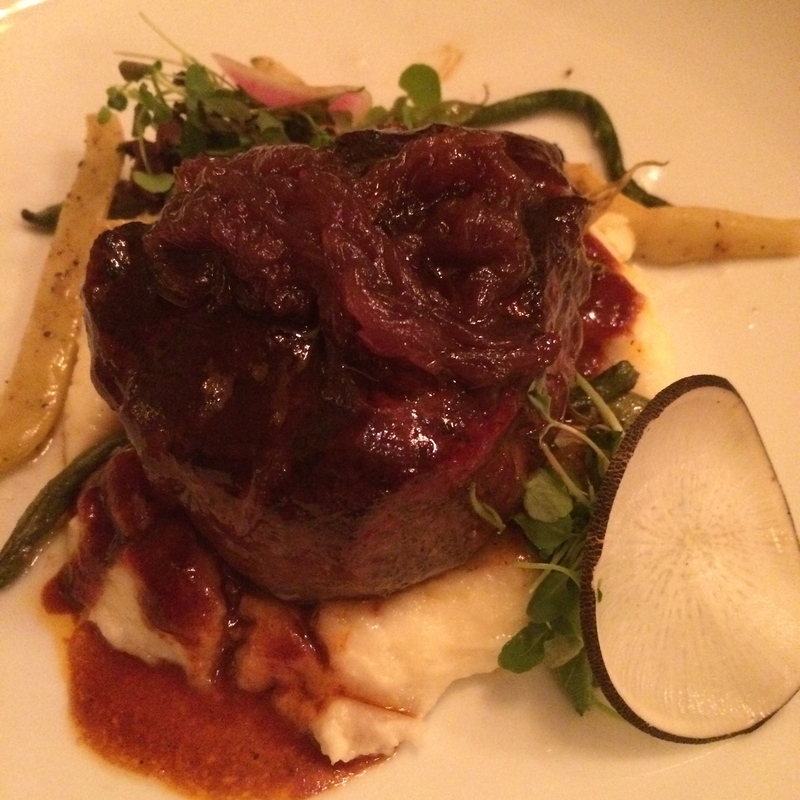 You will find some of the best restaurants at Disney’s high-end resorts. After a day of looping the countries and sampling food as you walk around, it’s nice to indulge in a relaxing meal. Our first night, I booked Citricos, one of the many restaurants at The Grand Floridian. To our delight, we were treated to a private room where we could see out through glass doors and windows to view what the chefs were creating. I watched the pastry chef all evening. She had a spring in her step and a smile on her face the entire time she worked. It was evident that she loved her job. I approached her at the end of the evening to tell her it was a pleasure to watch her. The food, the wine and the overall experience with the private room were a great way to start our vacation. The EPCOT Food and Wine Festival runs through November 18th. Give it a try foodies! Yesterday I mentioned going to the Epcot Food and Wine Festival. 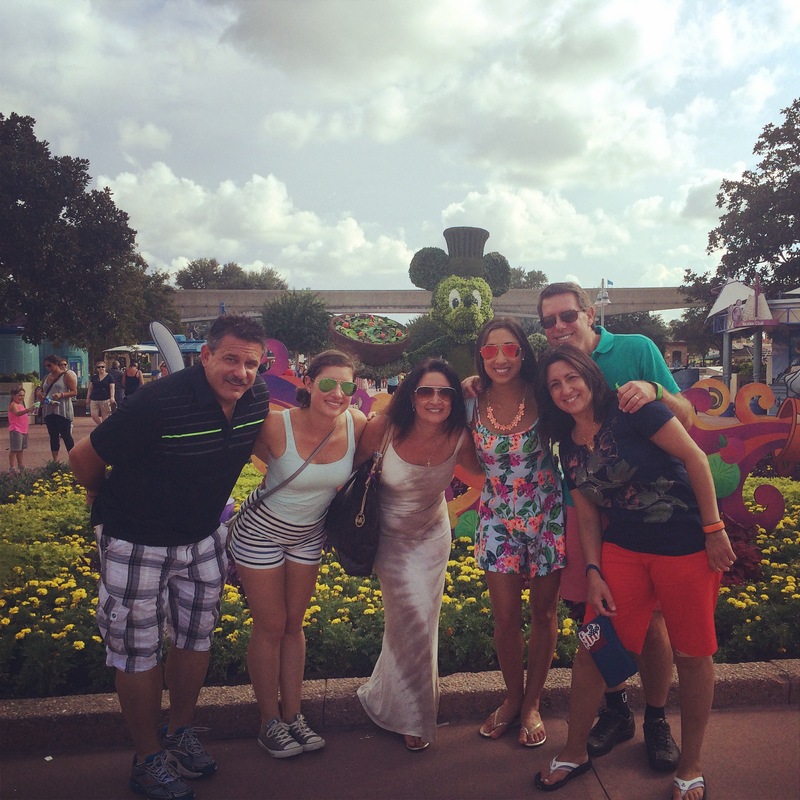 Although this is the 19th year Disneyworld has hosted the event, it is only the fourth time our family has attended. We discovered it when my daughter, Alexa was a student at the University of Tampa. Instead of participating in the events on campus for parent’s weekend, she requested we take her to Disneyworld for a few days. 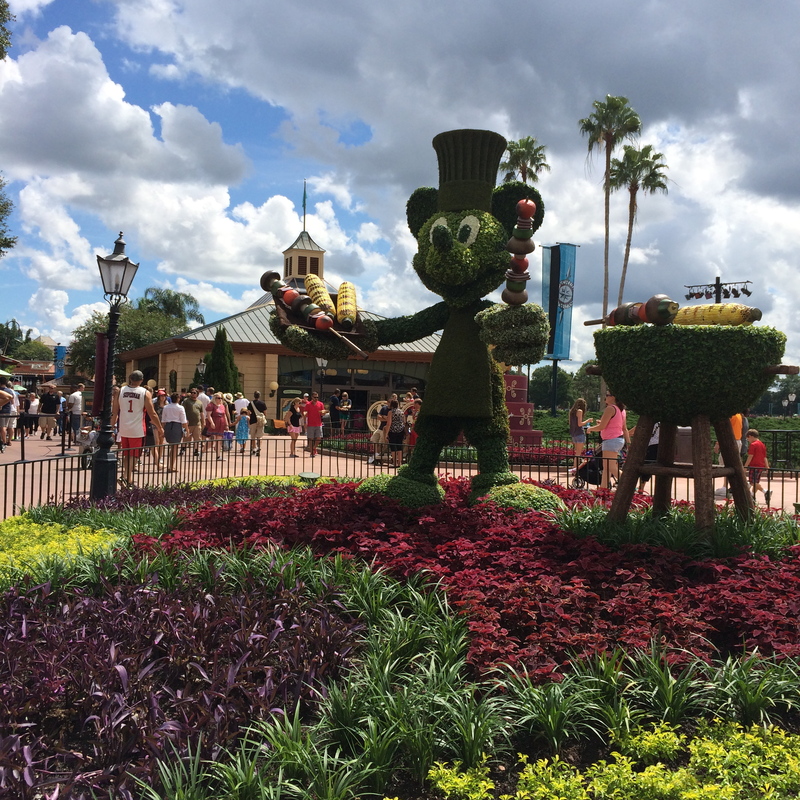 The weather was perfect, warm and dry, and Epcot was lively but not overcrowded. We were given a “passport” and began to walk around the countries, tasting small bites of food from kiosks decorated to represent various countries. And so, this became, for our family, an annual event we looked forward to. Each year new countries are added and sometimes a few are taken away. They change the menu, which can either be disappointing or exciting. They took away the cheese kiosk this year. I missed the fondue and the trio of cheeses. And Poland had a traditional cheese bread with mushrooms, which they took off the menu and replaced it with something else. But Brazil was new this year and my “passport” said they had something called Pao de Queijo – a Brazilian cheese bread! I naturally had to try it, and when I brought it over to where we were sitting, my daughter, Eleni got so excited. It looked just like the bread she had in Ecuador that she ate every morning on her vacation there. I was so delicious. We ordered it three or four times over the course of our visit. Made from yucca flour, it had an interesting texture, and I am on a quest to find a recipe to make this at home. In Mexico I had a rib-eye taco made with fresh tortilla and in China we went back several times for another favorite – the Mongolian beef in a steamed bun with chili mayo. I can’t even describe how light and airy the bun was. It was different than anything I’ve ever had. France had an amazing menu, from Boeuf Bourguignon to a mushroom gratin and crème brûlée. And we can’t forget Greece where I ate more cheese – the saganaki – pan-fried kasseri cheese. The prettiest building was a new addition this year, Puerto Rico. But the first place my husband ran to was Argentina. He waits all year to get their empanadas, and I have to admit, they are the best I’ve ever had. We also sat in on a French wine seminar, which takes place in the festival center. We learned about the wine regions and a little about the French wine making process. The three wines we sampled were all very different but equally enjoyable. 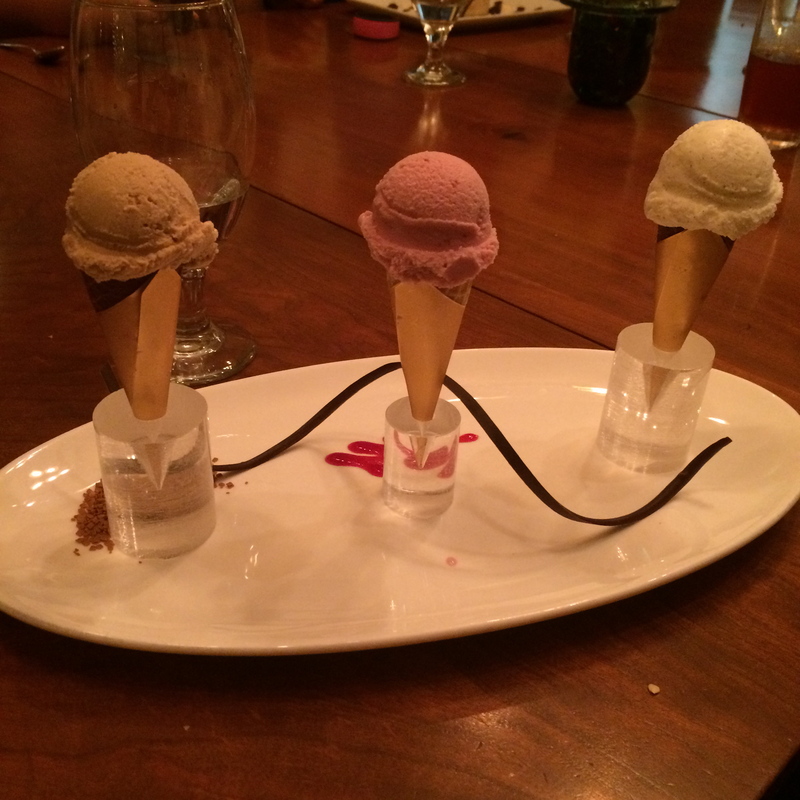 There are so many opportunities for culinary demonstrations, mixology lessons, beer tastings and dessert parties. There is something for everyone to explore. And if you want to venture out of Epcot as we always do, eat at Saana, an African restaurant with Indian influence, located in the Animal Kingdom Lodge. 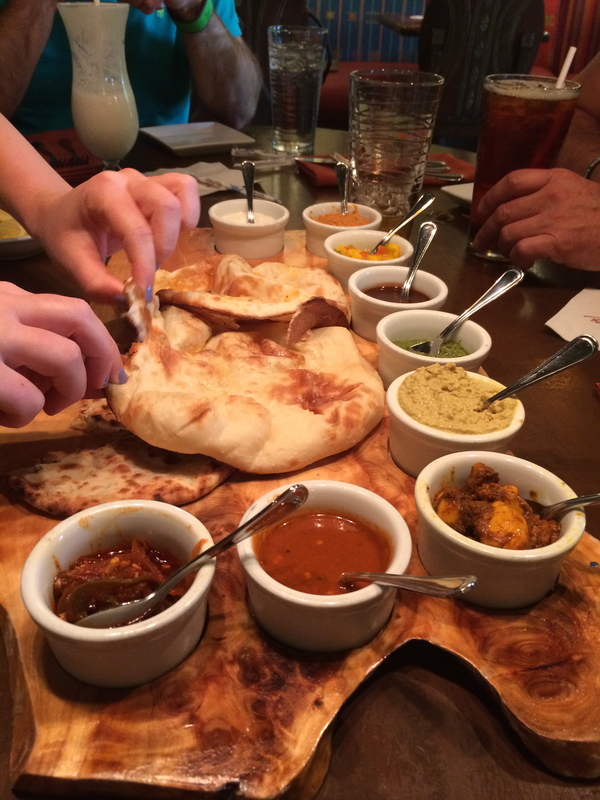 The naan bread with the nine dipping sauces was amazing. 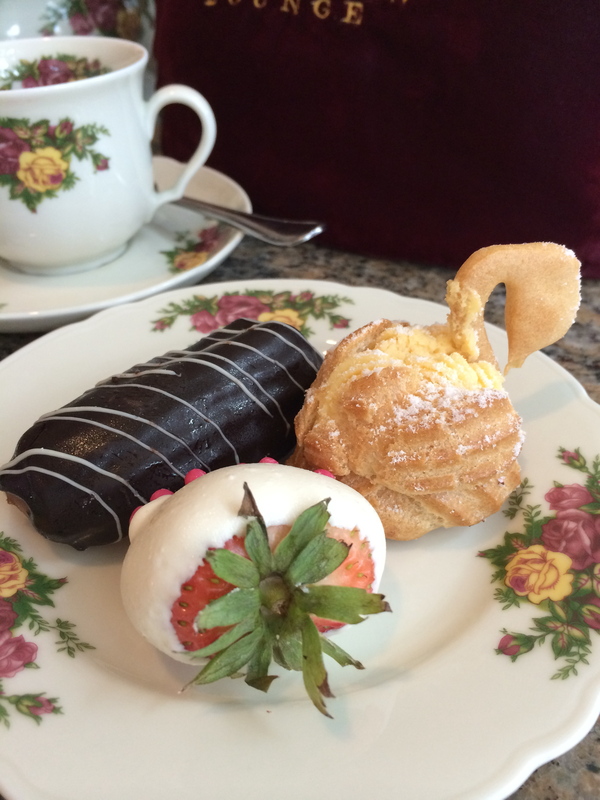 At the Grand Floridian you can have a proper English high tea. And back at Epcot, any time of the year, you can sit in the new Moroccan wine bar overlooking the water and enjoy a small plate menu. For the vegan and gluten free diners, Epcot is very accommodating. I know I have forgotten to mention so many countries with delicious offerings, but that’s what is so great about the festival. You can simply walk around and sample as you go, or get a group together, put your “drink around the world” T-shirts on and… well, you get the idea. Just one suggestion—digest and sober up before you go to the future side of Epcot and ride “Mission to Mars”. Saana at the Animal Kingdom Lodge. We couldn’t get enough of this.